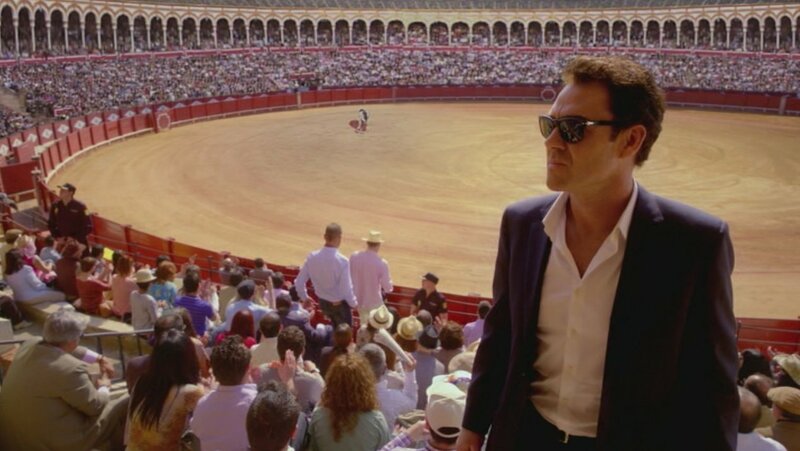 Set in the Spanish city of Seville, the new series Falcón features Marton Csokas as Inspector Jefe Javier Falcón. The two full-length mysteries featured on this DVD are as much about the complicated personal life of Falcón as they are about the crimes he solves. The first mystery, "The Blind Man of Seville" begins on a gruesome note. A man has been found dead in his house, bound to a chair and murdered. The gruesome part is that he was obviously forced to watch a film before he died, and he was unable to look away because his eyelids had been removed. Javier Falcón is put in charge of finding out what happened, but before he's able to solve the crime, more bodies will turn up. Additionally, he will find out some unpleasant truths about his own family. His father, the famed artist Francisco Falcón, is a world-renowned painter whose work is much sought after and the subject of a huge exhibition. He recently passed away, and has left instructions that Javier destroy all the work remaining in his studio at the time of his death. 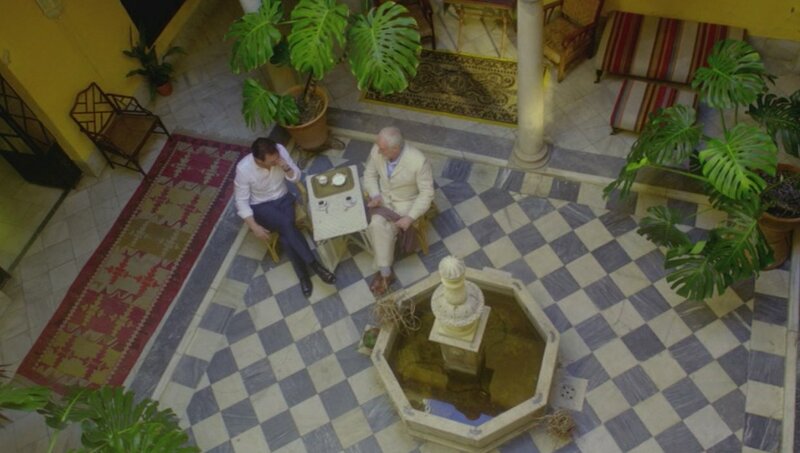 Javier has benefited from his father's celebrity by living in the family home, a large and beautiful house in a fashionable section of Seville. Javier keeps having flashbacks to some hazy but unpleasant memories surrounding the death of his mother, which occurred when he was a young child. After he discovers the truth about his family and the connection to the first dead body, nothing will ever be the same for him. "The Silent and the Damned" is the title of the second mystery. In this one, a wealthy construction magnate, Rafael Baena, has been found dead in his home. Although the death could conceivably be a suicide, Falcón has his suspicions that the death might actually be murder. This case, which happens three months after the events of the first story, is the first one Falcón is assigned to after returning to the police force after taking some time off. Unfortunately, after solving the previous case, the press is more than interested in him, and so any attempts he makes to investigate the crime result in the media descending on him. 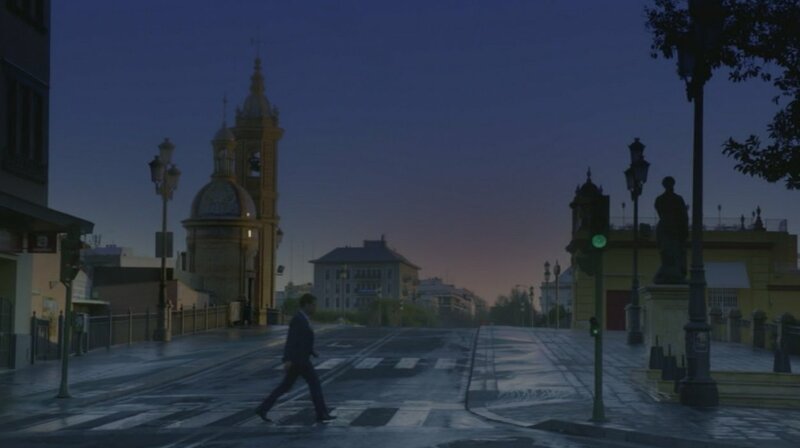 His boss decides that Falcón is too much of a distraction for such an important case, and so Falcón is given a seemingly less high-profile case to investigate: the discovery of an unidentified body (thought to be a homeless person) in a field. Falcón's co-worker, Jose Luis Ramirez, is only too eager to take over the investigation of the first case and make a name for himself away from the shadow of his more famous and flamboyant colleague. The case will have far-reaching implications, however, as an American financial advisor, played by Rosie Perez, inserts herself into the investigation and proves to be more involved than she initially indicates. Falcón himself is a conflicted character, even before he discovers the truth about his family history. He is separated from his wife, although they are still in contact with each other. She comments to him that he "has no heart" and asks if he "still walks the streets at night." We do see him wandering the streets, and he is continually buying and using some sort of powdered drug, although this doesn't seem to affect his personality or abilities at all. He seems to be the same person both before and after taking the drug, and in some instances even contemplates taking the drug before putting it away unused and continuing with his day. He begins a new relationship with the lovely widow from the first case, Consuelo, but always keeps her at a distance. 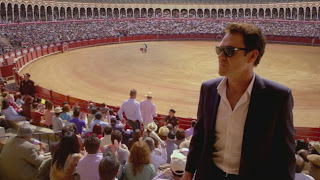 The city of Seville is also an important character in this series. In the first film, we only see beautiful and vibrant parts of the city. In the second film, after Falcón's perceptions of his own life are altered, we visit many more gritty and dangerous parts of town. It still looks like a beautiful city! There are some interesting extras, including some interviews with the author of the books that this series is based on, Robert Wilson. 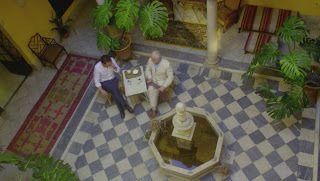 He gives some insight into why he chose Seville as the setting for his books, and describes his shock at finally getting a glimpse inside the house he used as the Falcón family home -- it was nothing like he had imagined, but I'm sure the mental picture he painted was an improvement on reality! I really enjoyed seeing the conflicted character of Falcón, even if the flashback sequences were a bit confusing (to me, anyway) at times. The city of Seville is also gorgeous and seems to have no end to beautiful settings to choose from! I hope to get to see more mysteries featuring Inspector Jefe Javier Falcón, and to find out if he and Consuelo were able to have a relationship in the end, or if his demons were just too great to overcome.